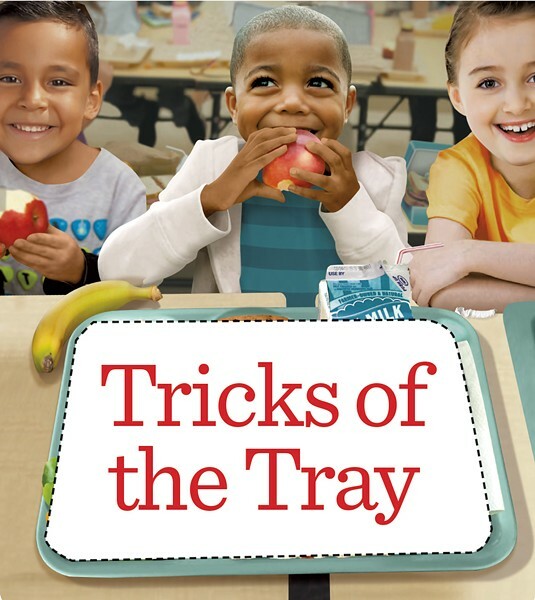 Tricks of the Tray: How School Food Programs Nourish Students, Buy Local and Try to Break Even | Features | Kids VT - small people, big ideas! 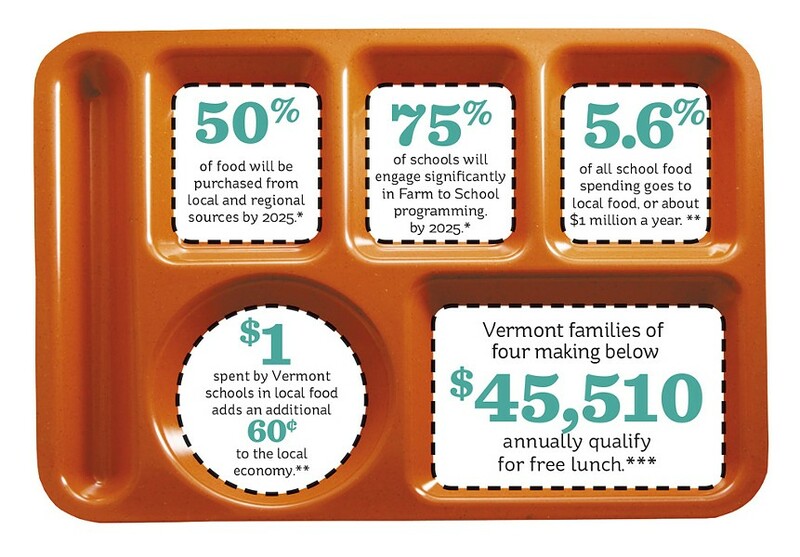 Vermont is a national leader in the movement to serve kids fresh, nutritious and locally sourced food in K-12 schools. To see how it's earned that reputation, visit the cafeteria at Milton Middle School at lunchtime. On a hot day last June, food service staff set out options for a colorful fruit and veggie bar, removing lids on containers full of fresh blueberries, orange cantaloupe chunks and slaw made of purple cabbage and carrots. The spread isn't just appetizing, explained Milton food service director Steve Marinelli — it empowers diners to choose what they like. As a result, they actually eat what they take, and he doesn't have to deal with kids throwing away whole bananas that have been forced onto their trays. This fruit and veggie bar is one of Marinelli's signature achievements. In the six years he's been at Milton, he's transformed both the food and how it's served. Gentle, bearded and bespectacled, he stood behind the cash register and addressed kids by name as he rang up trays of stuffed breadsticks and Caesar salad with homemade dressing. "School lunch is changing for the better," he said. Before Marinelli arrived in 2011, the district had a "freezer to oven" approach to food prep, he said, which meant lots of packaged and processed food. Now meals are prepared from scratch. Marinelli swapped out long tables for round ones and diner-style booths, and nixed plastic cutlery in favor of silverware. Diners can build their own salads or yogurt parfaits. Marinelli has also made healthy food available all day, so every student — whether well-fed or food insecure — can feel comfortable wandering in to the kitchen for a slice of leftover pizza or piece of fruit when they are hungry. And thanks in part to both national and state Farm to School grants, Milton students now learn about food and where it comes from through school gardens, field trips and nutrition-based lessons integrated into the curriculum. And that makes them more eager to cook — Marinelli estimates 70 percent have prepared food in the school kitchen themselves. Milton has sent multiple contenders to the Jr. Iron Chef VT competitions. All of these changes are bringing more people to the table. In 2011, before Marinelli arrived, just 27 percent of students — and only a single staff member — ate cafeteria meals regularly. By contrast, last school year, the district's food service staff fed more than half of Milton high school students, 70 percent of elementary and middle school students and around 100 staff members regularly. A quick glance around the cafeteria revealed that most kids are indeed eating school meals, and that nearly all of them have something healthy on their trays. Based on a reporter's informal poll, students' favorites include burgers, breakfast for lunch, roast turkey with mashed potatoes, General Tso-style chicken and, yes, salad. His customers aren't the only people who've noticed these improvements. In 2013, a blog post Marinelli wrote about the success of his fruit and veggie bars was reposted on the website of Let's Move!, the child-health campaign led by then-first lady Michelle Obama. Marinelli and several students were invited to Washington, D.C., twice, first to plant a garden, then to harvest it and bake flatbread alongside the first lady. During the second trip, then-governor Peter Shumlin happened to be in Milton signing legislation giving free lunch — rather than a discount — to all Vermont kids under 130 percent of the poverty line. While students shook hands with president Barack Obama, Marinelli recalled, he talked with the first lady. "She was so aware of what was going on within our school," he said. He mentioned the bill signing, and "she looked right at me and said, 'I know, Steve, I keep up on you.'" Why isn't every school district in Vermont more like Milton? Turns out that even in a locavore, agricultural state like Vermont, it still takes a lot of work — and creativity — to change what's served on school lunch trays. It's widely known that kids do better in school when they have access to nutritious food. "There's greater academic success when students are well fed," stated Burlington School Food Project director Doug Davis. Hungry kids not only struggle to learn, he pointed out, but are more likely to be disruptive in class, which hampers all kids' learning. So if kids' school performance depends on full bellies, why aren't universal meals built into our public school system? For starters, school nutrition and academics are separated institutionally, regulated by different federal agencies. Meal programs fall under the Department of Agriculture, while everything else school related falls under the Department of Education. American public schools didn't start out serving meals. During World War II, a third of recruits showed up too malnourished to serve. That prompted the creation of the USDA-administered National School Lunch Program in 1946. The agency bought surplus crops from farmers to support subsidized school meals for hungry children. Anore Horton, nutrition initiatives director at the nonprofit Hunger Free Vermont, explained that the way the government funds school meal service has led to the perception that it's "a program for poor kids" that's separate from the work of the school. The result is that today, unlike any other school department, most meal programs must create their own revenue. A portion of all school meals is publicly subsidized by federal reimbursement, but families still must contribute, unless they're financially eligible for free meals. To Horton, this is the key issue. "It should be universally publicly funded for every kid. We never ask, why are math books publicly funded?" she noted. "But that's what we do with the school meal program. It's the only place in our schools where kids are categorized by their parents' income and treated differently." Kathy Alexander, food services director of the Addison Northeast and Addison Northwest school districts, put it this way: "We're trying to fit a restaurant business into a school education model, and it doesn't work." And the structure of the meal program isn't the only issue. Even with free meals available, many eligible children still don't participate and may go hungry. Why? Horton suggests the eligibility form mandated by the USDA is intimidating, intrusive and complicated to fill out. She also points to parents who don't apply because of shame, and kids — particularly older ones — who are signed up but too embarrassed to have their low-income status outed in the lunch line. It's in the school's best interest to make sure all children who qualify for free meals apply for them: The more children who are eligible for free meals, the higher the reimbursements the school receives from the federal government. That's one reason Alexander is proactive about enrolling families, trying to make the process as easy as possible. "We tell them it helps us out," she said of the families they serve. "The more people fill out the application and become eligible, the better we do." If the number of kids who are eligible for free meals is high enough — and if a high percentage of the student body meets the criteria for other social services — that school may be eligible for free universal breakfast and lunch for all students. Throughout Vermont an increasing number of schools benefit from universal free meals, including small schools in the rural counties of the Northeast Kingdom, some schools in Burlington, the entire Winooski school district and the entire Southwest Vermont Supervisory Union. In Milton, Steve Marinelli said that just under half of students are income eligible for free meals, but many families who aren't eligible still struggle to come up with the money to pay for their meals. At the end of the 2016-2017 school year, Milton had $24,000 in unpaid lunch bills. That number has been going up by about 10 percent each year, he said. It's a symptom of something he calls "hidden hunger." The two root factors, Marinelli suggested, are student loan debt and opioid addiction. What to do about unpaid cafeteria bills is a significant stressor for school meal programs. Most meal programs in Vermont operate in the red, according to Horton, because government reimbursement rates are lower than the actual costs of food, labor and worker benefits. When unpaid debts cause programs that are expected to run independently to end the year short on funds, schools must spend time and money trying to collect debts, or find a way to make up the difference. "It's a big problem," said Alexander. "We're trying to run a business in the school. There's the rub: the fact that it's in a school, and it's kids, and they don't have control over getting food any other way. We don't refuse meals." 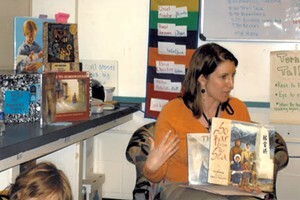 Nina Hansen, vice president of operations for the Enosburg Falls-based Abbey Group, which runs the food service programs at 70 Vermont public and private schools, as well as schools in New York and New Hampshire, said these unpaid bills are a problem in many districts, but none of the schools her company serves would stop a student from eating because of it. "I don't know one school that would 'lunch shame,' or pull trays from kids," she said. But some schools around the country do. Earlier this year, a burst of national press covered that practice, in which students are publicly implicated when their parents can't or won't pay school meal bills, sometimes by throwing away a child's hot lunch or distributing meal bills in class. When the state of New Mexico banned the practice in April, the USDA announced it would begin requiring school districts to have written meal-charge policies. "There's no rule about this, either at the state or federal level," said Horton. "Every district is writing their own policy." 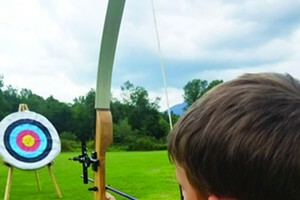 In June, Vermont's Agency of Education released a memo with the USDA's new requirements, which went into effect July 1. Districts must communicate their meal-charge policies to families at the beginning of the school year. In addition, the memo says, debts too difficult to collect must be written off as operating losses and may not be covered by the food service account, but by finding money "which may come from the district's general fund, special funding from the state or other local sources, or any other non-Federal sources." In other words, it's up to each school district, and by extension the community that agrees to its budget, to figure out how to cover the debts of kids who can't pay for meals. And while unpaid meal debt is a large factor in budget shortfall, it may not even be the largest. According to Davis, at least 80 percent of Vermont school meal programs finish in the red, because unlike any other school employees, food-service workers' benefits are paid out of the food-service budget — not the school's general fund. Horton said school boards and administrations need to demonstrate to the communities they serve how school meals are "critical for fulfilling the mission of the school, and stop seeing them as a separate program that needs to break even." Davis said he thinks a shift in priorities is in order when he hears people talk about "bailing out" school meals programs. "Often we see child-nutrition program investment as one that is done begrudgingly," he mused. "We need to change the dialogue a little bit." Vermonters love their local farm-to-table restaurants, so it's not surprising that the Farm to School movement — whereby schools buy and feature locally produced, farm-fresh foods on their menus — originated in Vermont. In 2006, state lawmakers passed legislation establishing a Farm to School grant program, which helps fund school gardens, teacher professional development, farm field trips, local food taste tests and the integration of nutrition into the curriculum. Since its inception, the program has given more than a million dollars to Vermont schools, and it serves as a model for a national Farm to School grant program. Local farms benefit from these partnerships as well, according to Betsy Rosenbluth, project director of VT FEED (Food Education Every Day), a collaboration between the Northeast Organic Farming Association of Vermont (NOFA-VT) and Shelburne Farms. "We're talking healthier kids, kids ready to learn and money going back into the Vermont economy," she said. Governor Phil Scott recently committed the state to the goal of buying 50 percent of school food from local and regional sources by 2025. But local food can be expensive. School meal programs must budget each meal for sometimes as little as $1.25, said Rosenbluth. "The advantages are, the farmers who are selling to schools are really committed to kids growing up with Vermont product. It's a stable market, a wholesale market." But, she said, distribution — getting food from farm fields to school plates for a competitive price — is a challenge. The Abbey Group is large enough to be able to buy large quantities of food at competitive prices and distribute it to various schools — and is already sourcing 30 percent of its food regionally, from Vermont and New Hampshire; the percentage goes up to 40, Hansen said, if milk is included. Schools with independent food service programs don't have the same buying power of this regional network. Enter the Food Service Directors Association. The cooperative procurement group represents 180 Vermont public schools, and is cochaired by Burlington's Doug Davis, along with founder Bob Clifford, food service director of Chittenden Central Supervisory Union. Davis explained that 25 years ago, small, rural food programs were overpaying for, or unable to get goods because distributors had no incentive to send delivery trucks to schools with small orders in remote locations. The association solved this problem by putting large Chittenden County food service programs, like Essex and Burlington, on the same contract as small ones. "If you want to serve us, there is no minimum delivery size, no delivery fee, no minimum number of boxes," said Davis of the bid process. "You serve all of us or you serve none of us." All of the school food service directors interviewed for this story are members of the association. "It makes us a stronger voice, saying we want more product locally," explained Steve Marinelli. While the association has been able to leverage more local agriculture in school food, programs that want to go even more local, and purchase directly from small farms in their towns, are free to put out their own bids as well. The association continues to update its model. For specialty products like the Vermont popcorn company Yolo Snacks, Vermont Smoke & Cure, Vermont Bean Crafters and Vermont Village applesauce, Davis and Clifford work with the company to contract for the product and get it in compliance with federal regulations. When that's complete, any member school can buy that product. "Wherever you are, you can open up your book and get local food delivered," Davis said. "Not too long ago, you couldn't." Ask Kathy Alexander how to fund local food in schools, and she reframes the question. "The more important question is, how do we fund our programs and figure out our financial sustainability?" she said. "Once we figure that out, we simply budget for local food." Alexander says she can earmark 15 percent of her budget, or about $45,000 per year, for food from nearby Addison county farms. A larger portion goes to food that would, by most standards, still be considered local. "I'm not counting all the Cabot cheese we buy through Reinhart [Foodservice]," she said, referring to the food distributor. For Alexander, buying the products she wants to serve just takes wise budgeting. For example, she spends more cash during harvest season when diverse and exciting produce like berries comes out of the fields, and uses USDA allotment funds on locally produced commodity items (think apples) later. Food service directors need to be practical about how to budget their limited funds, said Davis. "What people sometimes miss is the vast majority of things schools need to purchase are not going to be local," he explained. "Vermont's not going to make garbage bags. We're not going to grow oranges." He gives the example of an item like tomatoes that can be purchased cheaply and reliably from an out-of-state grower, but is also grown by Vermont farms. It makes sense to buy a local farm's more pricey harvest for a community dinner and spotlight it on the plate, he said, but not to purchase it from them wholesale year-round. Really, it's about deciding what to invest in, Davis said. Hansen, of the Abbey Group, pointed out that Winooski has prioritized serving food that's familiar to its many refugee and immigrant students. That means offering local goat meat on occasion, and giving students an option of rice with every meal. The Burlington school district is now prioritizing protein. The city has just committed to buying and serving only Vermont beef for the 2017-2018 school year. Decisions like investing in local beef address several key issues. VT FEED's Rosenbluth suggested it's an ethical decision to not buy the so-called "pink slime" ground beef from factory farms "that's really cheap, that we're competing against, that doesn't excite kids or help Vermont farmers." And educating kids about changes like these help them think about food sources and nutrition. "If I was able to help a kid think twice about their food today, I did my job and I'm really happy," Alexander said. For the food service directors, it's all rooted in the desire for kids to eat well, so they can learn well. "It's the best people in the world doing this work," Davis said. "You don't move into Lunch Lady Land for the fame and fortune. It's a passion, and a calling." We're contributing a ton toward the success of our kids," he said. "I've had so many kids say over the years, 'Thank you for the food.'" Cathy Resmer contributed reporting to this story.